XML can describe the concept model of inclusion relationship conveniently. Also, it can directly express the concept model in an understandable way, and the expression format is so flexible that no useless element will be included there. While describing communication protocols by XML, we can not only give a common format for data and control commands, but also reuse the existing XML parsers, so as to facilitate the expansibility and integration of protocols in a system. W3C had proposed Simple Object Access Protocol (SOAP) , which is a light weight protocol based on XML used to build information exchange framework under distributed environments. ArcInfo’s ArcIMS also used ArcXML as the fundamental command and data transmission protocols to communicate between users’ web pages and backend spatial data servers . Our idea of XML based communication protocols for WebGIS benefits from the SOAP model, but we basically focus on the application in WebGIS. With the aid of UML, the typical requiring and responding protocols of WebGIS are analyzed firstly. 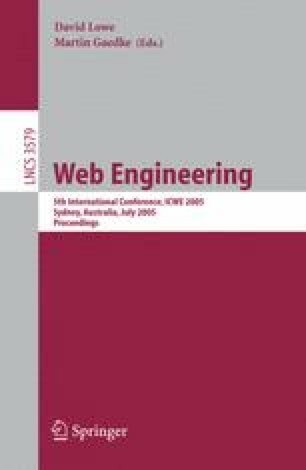 Then the mechanism of designing communication protocols following W3C’s XML Schema specification is illustrated.